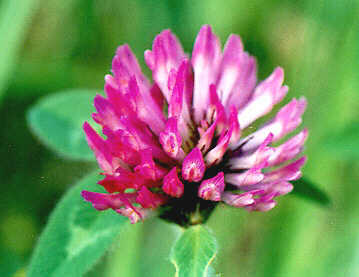 A member of the pea family, Red Clover is commonly found on meadows, lawns and on grass verges. It is one of the world’s oldest agricultural crops, widely cultivated as a fodder crop for cattle, horses and sheep. Medicinally, Red Clover has been used on the three continents of Europe, Asia and America for many generations for coughs, skin complaints, asthma and as a diuretic(water tablet). It is also known as a blood cleanser. More recent scientific investigation has been centred on the four phytoestrogens in Red Clover, genistein, daidzein, biochanin A and formononetin and their benefits during the menopause.